Living Hope Resources (formerly known as MonoMusic) is an Australian organisation founded by singer/songwriter, author and public speaker Monique Lisbon in 1996. Its primary focus is the development and distribution of resources of integrity that engage with the challenge to find authentic hope amidst suffering and abuse. Coby is instrumental in letting professionals and others know about the products available to help resource their work. Trudy has been involved with Living Hope Resources since 2005, primarily with the Fragments of Home resource. Trudy is a governance professional and strategist, with over 20 years’ experience. 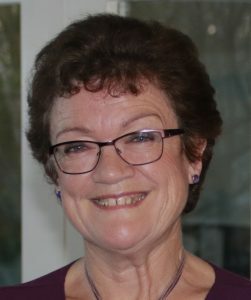 She was previously the Manager of Field Ministries and Communications for The Baptist Union of Victoria, and is currently the Company Secretary of CBM Australia.